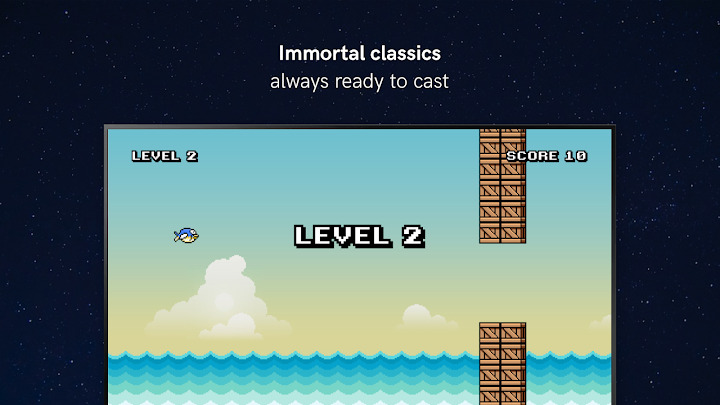 If you like all time games, with this app for Cromecast, you will never be bored again! Play 2048, a look like Arkanoid game or an Alien Invaders game and more. How does it work? 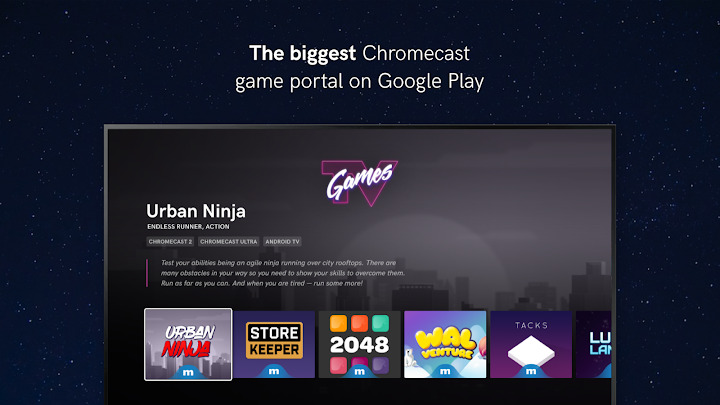 It is simple: You start the application, press the “Connect” button and the game will be streamed to your cast device. You use your mobile phone as a gamepad controller. 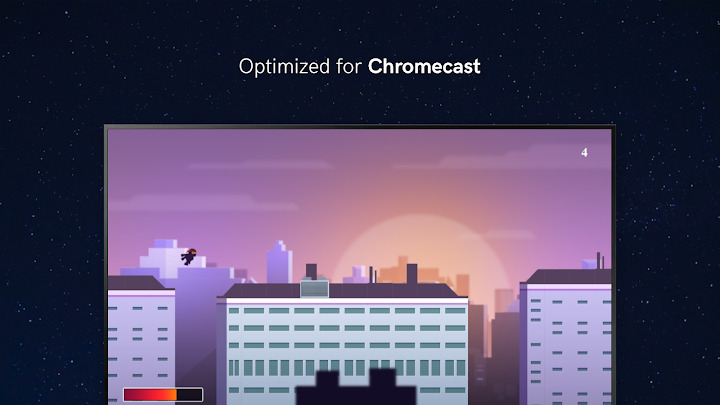 Note: This is free version of TV Games Cast. You can play for free on the games available in this free version, and if you like it and want to play more games, you can switch to full version anytime.